This is a label for three drawer bins. It goes great with a Dr. Seuss themed classroom. The colors are inspired by Dr. Seuss books. 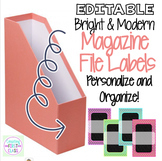 Get organized with some fun and funky style! Simply print and cut to fit the bin. 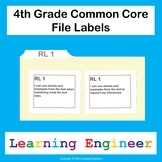 This download includes FIVE different versions of the labels you see in the main picture. All of the same graphics are used, but the fonts vary. I've also provided you with the option of choosing between a chalk background or a solid black background. NOW WITH AN EDITABLE FILE INCLUDED!! 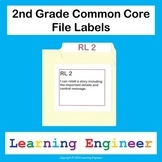 These file folder labels include tabs with Common Core codes and a short description of each standard for all of the Math and English Language Arts domains. 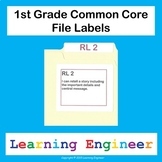 The labels were designed to print using either full sheet label paper or Avery File Folder Labels: 8366. 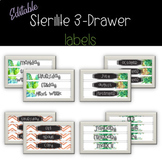 This product contains labels that fit right on the front of a multicolored 10-drawer file storage cart. 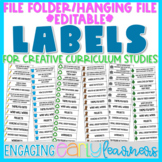 I have also included blank editable labels so that you can customize to meet your classroom needs. 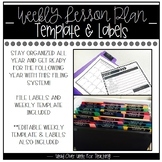 I use the cart and labels to help keep me organized throughout the week. I am doing Superhero theme in my room next year and I needed file labels, so I created some with words, and then there are some without for you to choose from! Don't forget to leave feedback! :) Thanks! 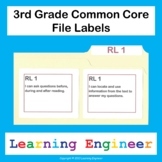 These are the labels I used to organize my resources based on the common core standards they meet. They are not written exactly word for word but paraphrased where needed to fit onto the label. 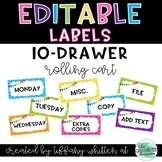 You can print on regular address labels and attach to file folders.